Peter Murchie’s men got back on track on Saturday with an emphatic 29-3 victory over league newbies Edinburgh Accies. 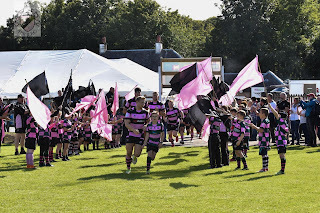 With last weekend’s agonising home defeat to Watsonians still fresh in the minds of the Millbrae faithful Ayr managed to bounce back with youthful exuberance, showcasing the strength and depth of their ranks. 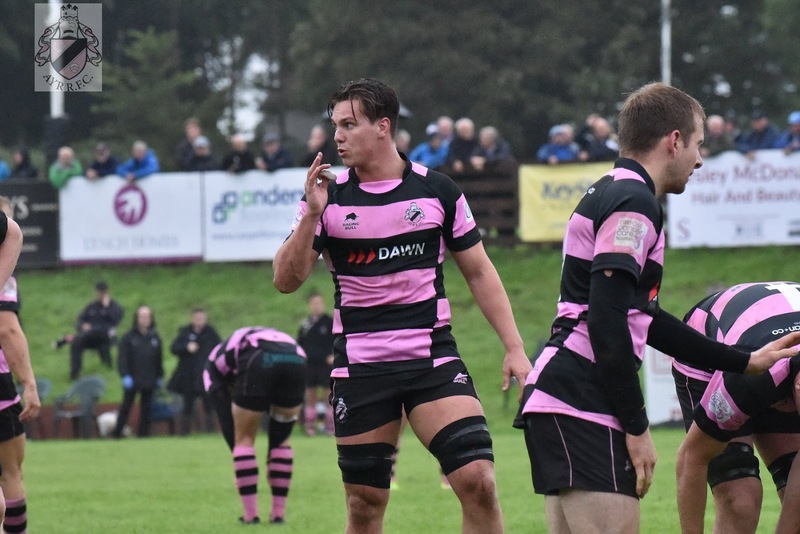 Ayr had dispelled any murmurings that last week’s shock defeat was anything more than just that. With the game starting to open up Ayr were able to stretch their wings and get creative. Frazier Climo pulled off his trademark gliding run through a barrage of bodies- none of whom were able to grab him. The fly-half found support in the form of Steven Longwell, who’s getting into a habit of being on Climo’s inside channel. We might just see the tight-head in a 12 jersey yet as he charged towards the line, pulling off a show ‘n’ go to dupe the covering defender. Just as he looked to have been brought down he threw an audacious offload over his head to keep the play alive. A few phases later he scampered over but once again the ref deemed the ball held-up. With the bonus point wrapped up and Ayr out of the sight the second half welcomed a change in pace. Alex McGuire dotted down for his first in pink and black minutes after the restart to land the knock-out blow to the visitors. From then on Accies did tremendously well to defend their line but couldn’t muster any threat going forward. Ayr saw out the game to secure all five points and assert their control at the top of the table. 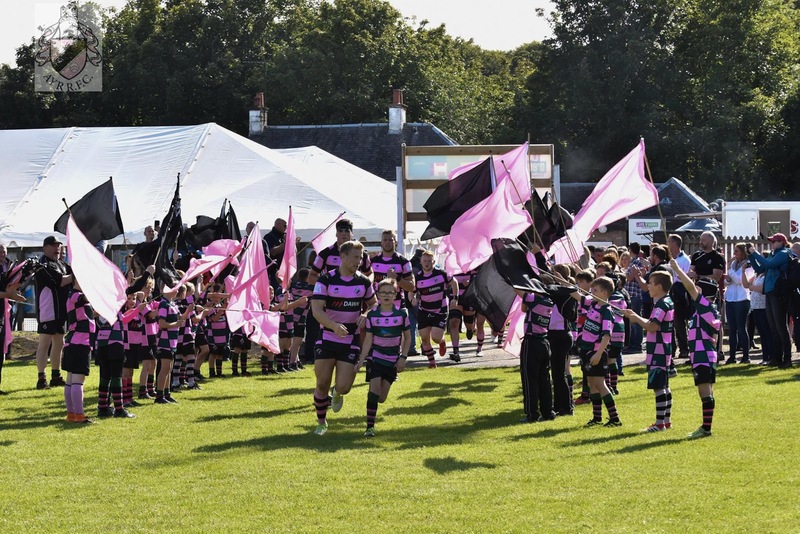 Ayr made it two-from-two on Saturday when they downed Currie Chieftains 30-17 in front of a bumper crowd at Millbrae on Ladies Day. 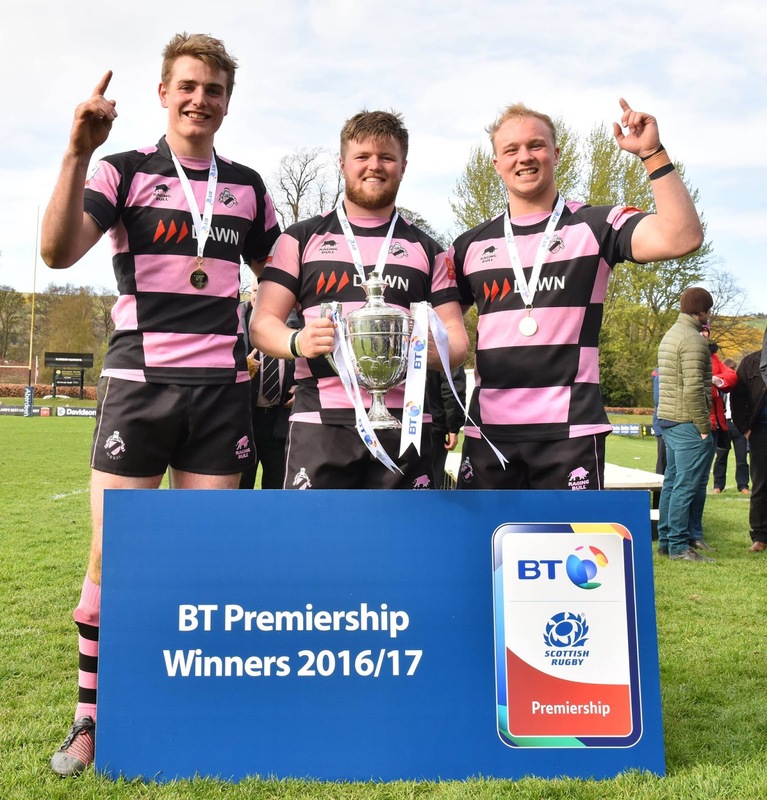 Currie were out for revenge after Ayr snatched victory from the jaws of defeat in last year's BT Premiership semi-final- battling back from 21-3 down to win 21-23. They threatened from the first whistle to the last but it was Ayr's physicality that held out in a war of attrition. Ayr kicked-off proceedings with a dream start much to the delight of the home crowd. Glasgow Warrior Paddy Kelly was able to shrug off his opposing number after just three minutes and charge to the line with no regard for the scrambling defence. Climo added the extras to make it 7-0. Chieftains weren't deterred by this and managed to retaliate with a score of their own moments later. The bruising Thomas Gordon latched onto a faulty line-out and drove close to the line. On the following phase Fraser Watt managed to burrow over from close range. The conversion levelled the scoring. Chieftains took the lead just briefly in the contest. A Gregor Hunter penalty on the 33rd minute saw the visitors on the front foot but a Kyle Rowe try on the stroke of half time ended their seven and only minutes in front. Armstrong spotted space and darted clear before feeding Kyle Rowe on an inside line. Half-Time: Ayr 14-10 Currie Chieftains. Ayr started the second half in the same vein as the first, this time scoring after four minutes. David Corbenici, in his first run-out at Millbrae, carved through an illusive defence and in for the score. The conversion slipped just wide giving Ayr a 22-10 lead. The visitors had been enjoying the lions share of possession throughout all of the fixture but Ayr were able to absorb the pressure and make good use of limited possession. Powerful carries from Tommy Spinks and Blair Macpherson were puncturing Chieftains' line and creating space for the backs to flourish. Currie still looked dangerous with ball in hand but were hit with a sucker punch on the hour mark. After looking almost certain to score and scrape back the deficit Ayr countered and soon Paddy Kelly was in for his second. Grant Anderson darted clear up the touchline and found the supporting Kelly on his inside shoulder. With twenty to play Currie now trailed by 17 points, the largest margin of the game. A Currie try from the restart gave the travelling fans something to cheer about and almost forced a grandstand finale but a Frazier Climo penalty chalked off any hope of a losing bonus point. Full-time: Ayr 30-17 Currie Chieftains. In a game that was won upfront and at scrum time prop Steven Longwell was named Slaters Menswear man of the match. It was also a successful day at the office for Ayr's 2xv who routed Marr 77-19. 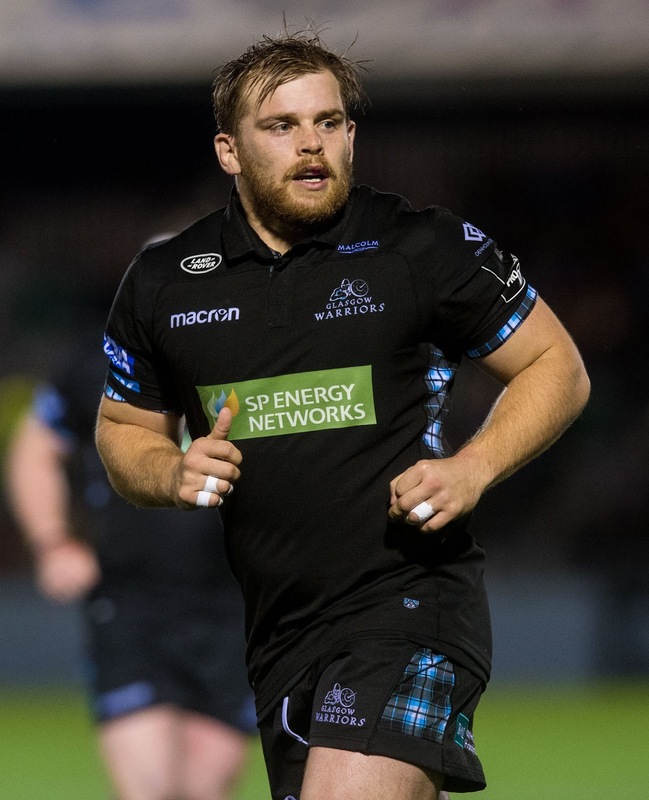 Scott Lyle was named man of the match after grabbing four tries and putting in an expert display from the boot. Alas, after a long off-season competitive rugby is upon us once more. The 1XV kick off their 2018/19 season tomorrow with an away trip to Edinburgh Accies. 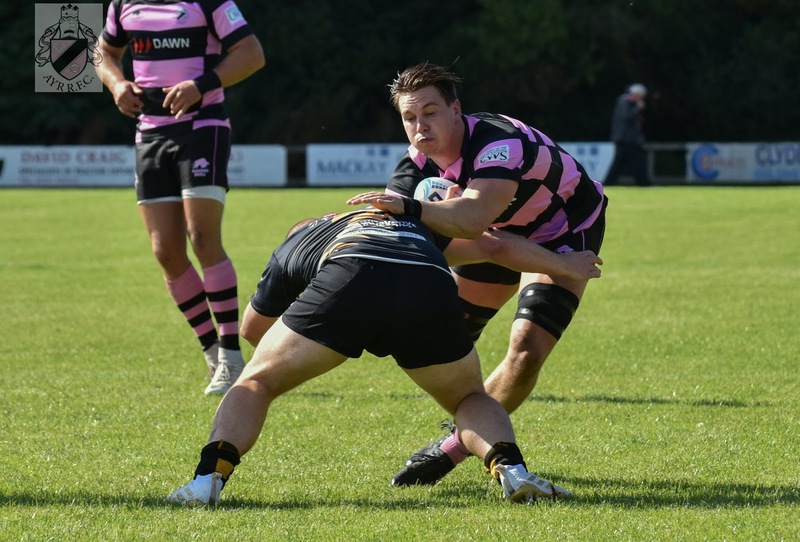 Newly promoted Accies will be out to prove a point in front of a home crowd at Raeburn Place and have promised Premiership fans to expect a fast and expansive style of play. 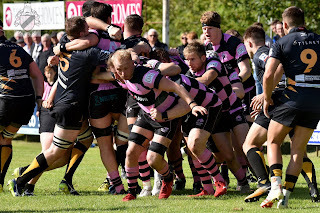 Ayr will take confidence from a very strong preseason where they dusted off GHA, Marr and Hull Ionians- scoring 159 points in the process. Danny McCluskey captains the side with Pete McCallum sidelined through injury. Millbrae new-boys Ollie Smith and Kyle Rowe start at 13 and 14 with some familiar faces completing the rest of the back line. In the pack Ruairidh Sayce picks up his first start for the 1XV as a reward for some very strong preseason performances. Lee Scott makes his Ayr return after a few seasons riddled with injury and is joined in the engine room by Forsoc Scottish Rugby Academy Stage Three player Marshall Sykes. David Corbenici earns his competitive debut at six with Spinks and Macpherson completing the back-row. On the bench former Millbrae-boy James Malcolm is released from Warriors for the weekend and Dutch Internationalist Amir Rademaker could make his debut if brought on. The 2XV are also in action tomorrow away to Hamilton in the National 1 reserve league. A youthful side, they will benefit from the experience of Craig Gossman who leads from full-back. New boys Alfie North, Alan Ferrie and Wolf Van Dijk start at 4, 5 and 7, respectively. If you can't make the trip to Edinburgh or Hamilton and don't fancy fighting the crowds at the Air Show Millbrae host Uddingston at Millbrae in what looks to be a close encounter. On Sunday action continues when Ayr Ladies look to get back-to-back league wins as they travel to Howe of Fife. 1XV: G. Anderson, K. Rowe, O. Smith, D. McCluskey (C), J. Bova, S. Lyle, D. Armstrong; R. Sayce, R. Smith, S. Longwell, L. Scott, M. Sykes, D. Corbenici, T. Spinks, B. Macpherson. Subs: J. Malcolm, E. McLaren, G. Henry, A. Rademaker, P. Dewhirst. 2XV: C. Gossman, F. Bark, H. Lynch, J. Rennie, C. Black, H. Warr, L. Young; B. Paterson, S. Collier, C. Miller, A. North, A. Ferrie, C. Brown, W. Van Dijk, C. Reece. Subs: L. Pentleton, L. Richardson, S. King.